The original shop building is the yellow front portion; the darker portion behind is a non-Shaker addition. 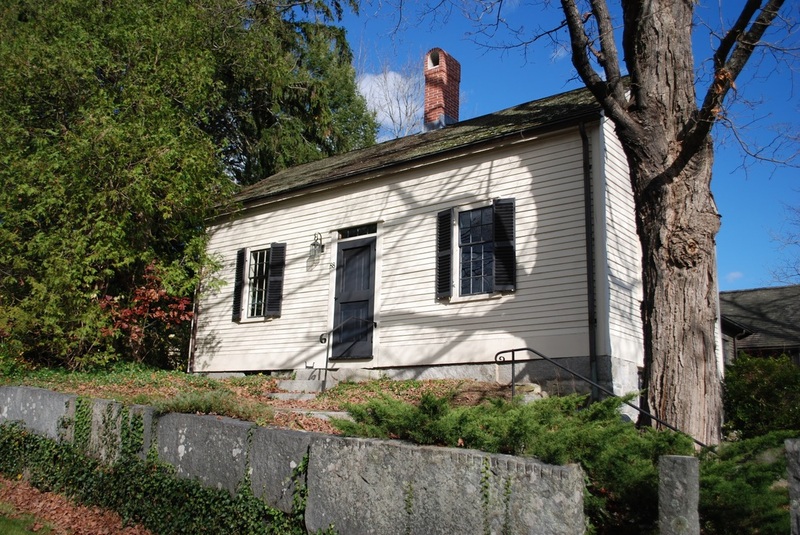 Built about 1800, this small building was identified on Village maps as the ministry’s shop or just plain “shop.” It was originally located on the site of the New Office. Sometime before 1839 it was moved to its present position. clothing for sisters and brothers for brethren. The inside of the tailor shop is all original, including the cabinetry and moldings. At one time an iron stove vented through the center chimney. After the Shakers left, new owners used the shop as a residence and added a kitchen. More recent owners built the present addition, removed the kitchen, and added an upstairs bathroom. A cart track ran beside the Tailor’s Shop to provide access to the land behind. At one time, structures such as the Garden Shop, Washhouse, Seed Barn, and Office Stable, stood behind the building.